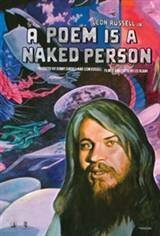 In 1972, when musician Leon Russell wanted a filmmaker to make a documentary about him, Les Blank moved into Russell's recording complex, near Tulsa. After two years of filming at the commune-like studio, Russell and the other artists, Blank had nearly sixty hours of footage of Russell and other musicians including Willie Nelson and George Jones, in rehearsals, recording sessions and in concert. The first cut of the film was accepted into the 1974 Cannes Film Festival, but the screening was canceled when the print didn't arrive in time. Then Russell and his team did not approve its release. Over the years, Blank continued to work on the film, considering it his masterpiece. Two months before he died in 2013, Blank's son Harrod contacted Russell on Facebook and this eventually resulted in the release of the film, in 2014.